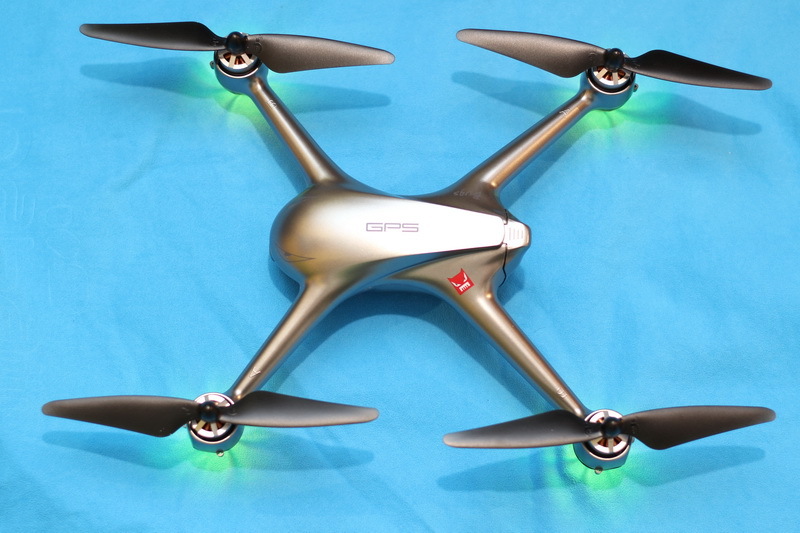 As I promised in my previous quadcopter review, winter will come with lots of drone tests on First Quadcopter. 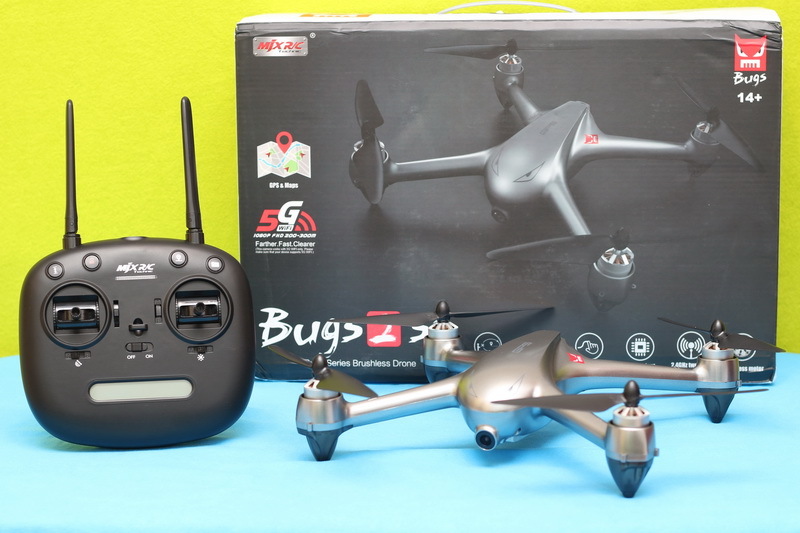 Today, we will have a closer look on the MJX Bugs 2SE, a very capable GPS enabled drone. 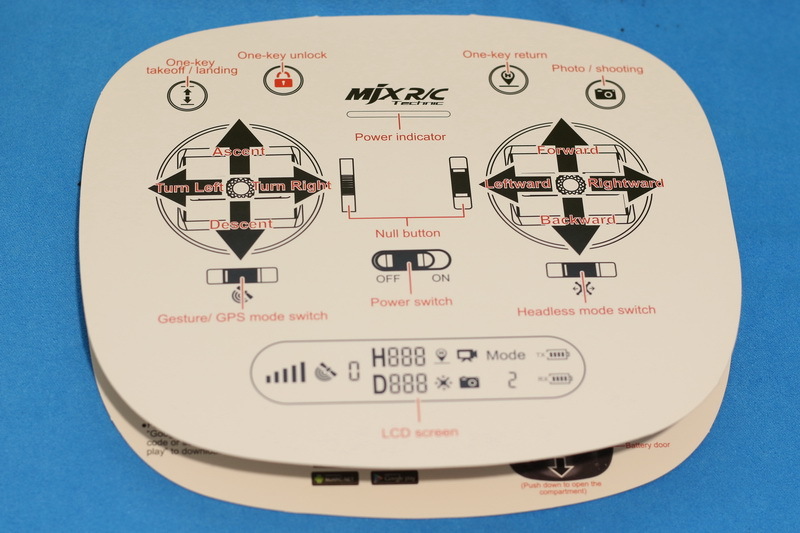 MJX R/C does not provide much details about what means the “SE” in the product name. I’m just guessing that it could be Second Edition or Special Edition. 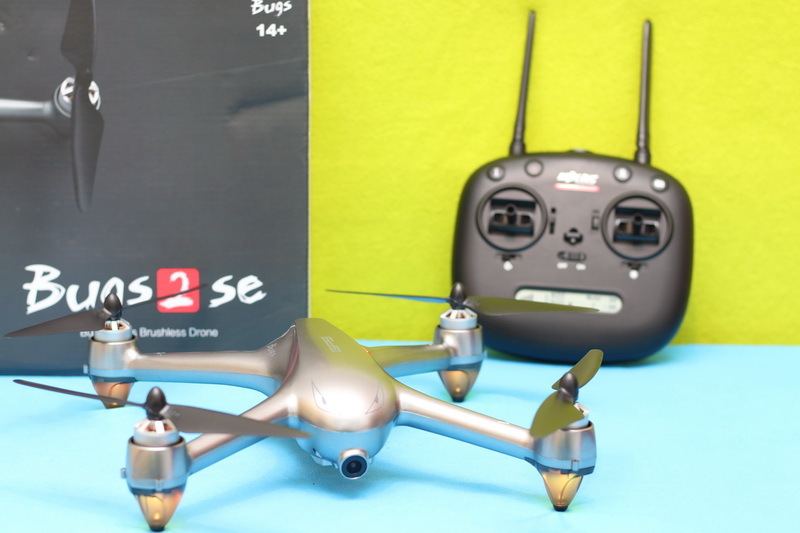 While the MJX B2SE adopts similar design and same type of 1800KV brushless motors as its predecessors (B2C and B2W), it comes with plenty of new cool features. Surely, the most important of them is the GPS positioning system. 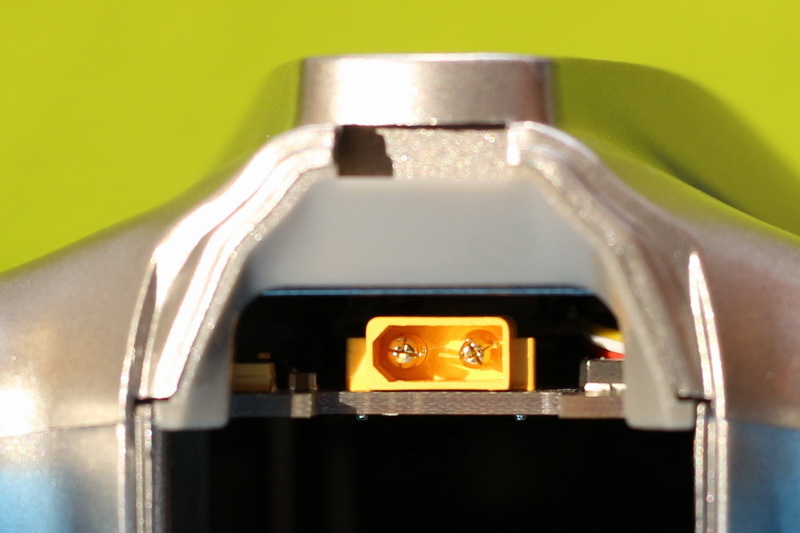 Unlike the Bugs 3 Pro, which was designed to carry an action camera, the Bugs 2 SE comes with its on-board 1080P camera. In order to display the camera’s live-video feed, you will need a 5G WiFi compatible mobile phone. Around 16 minutes flying time. About 500~600 meters control range (in open field). 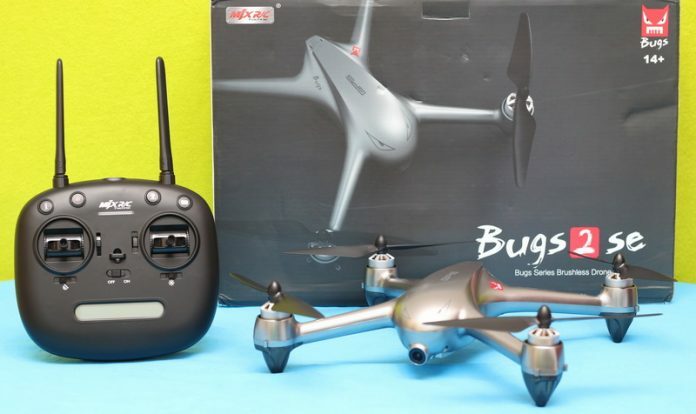 Disclosure: I received this Bugs 2SE as part of a product review collaboration with Banggood. 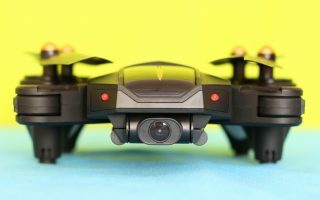 Although the quadcopter was offered for free, all opinions in this article remain my own and I was in no way influenced by my partner. Like usually, BG opted to send me the product with standard free shipping. The package arrived in 14 days. 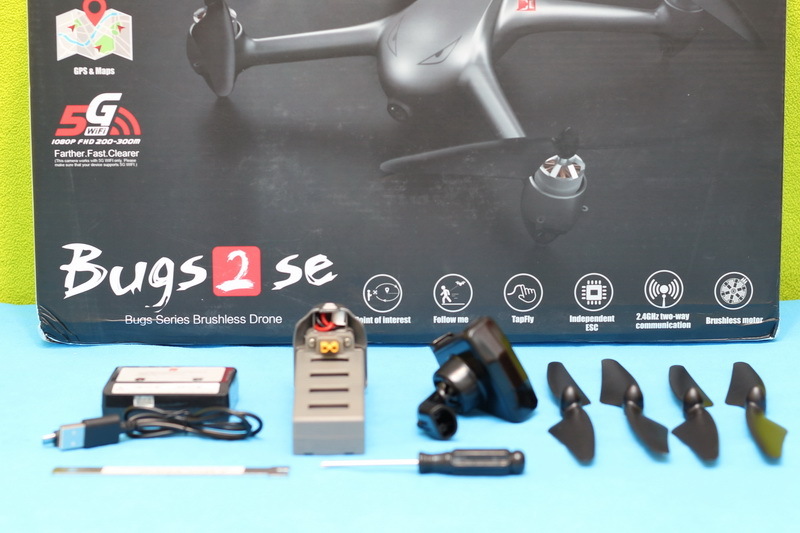 Inside the box, besides the Bugs 2 SE drone, I found the following: remote controller, phone holder, 1 set of spare propellers, flight battery, balance charger, micro USB cable, tools and quick start guide. 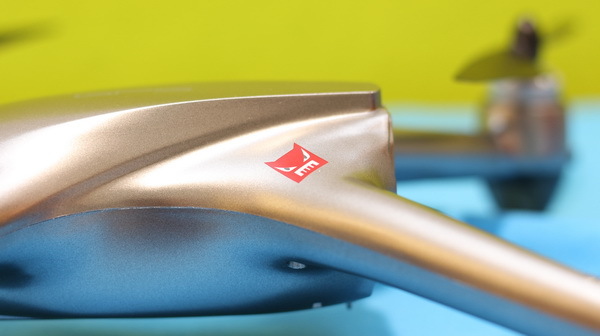 As I previously mentioned, the “SE” edition follows the base design of its predecessors. 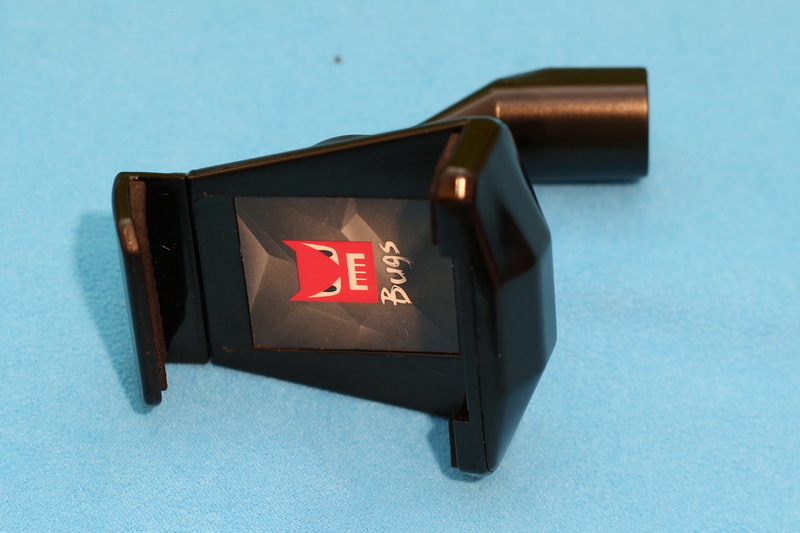 While the B2W and B2C were sold in red, black and white colors, the B2SE is available in nice metallic finish. Of course, those Bugs eyes are still in front, right above the camera. 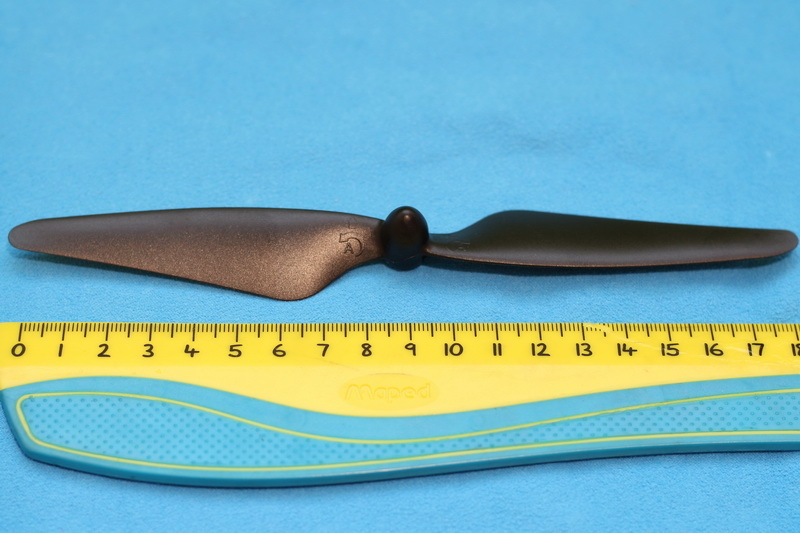 The aircraft measures 41 x 41 x 8 cm (31cm wheelbase) and weights about 440 grams (including battery & propellers). 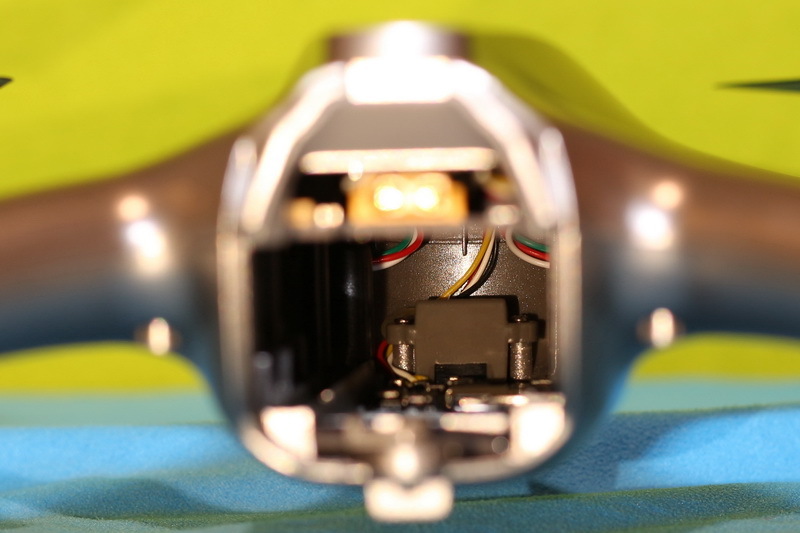 At the end of each arm there is a brushless type motor, which IMHO makes the difference between toys and real quadcopters. 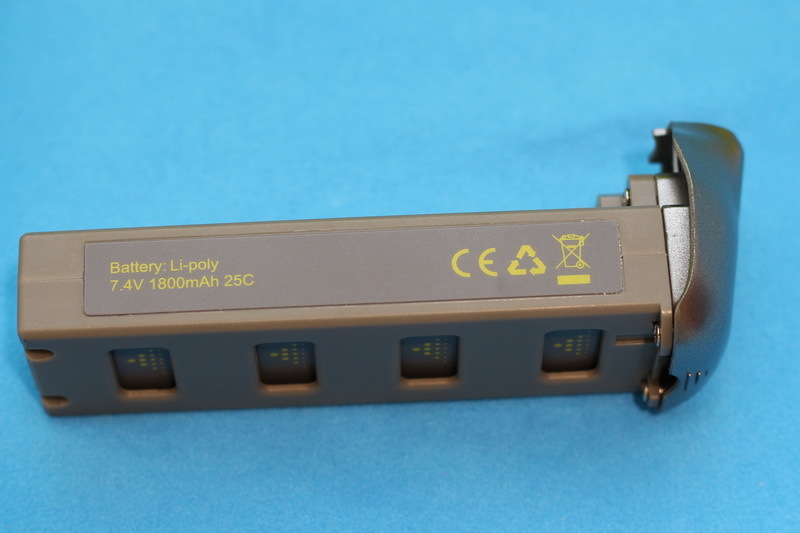 They provide much power and reliability. 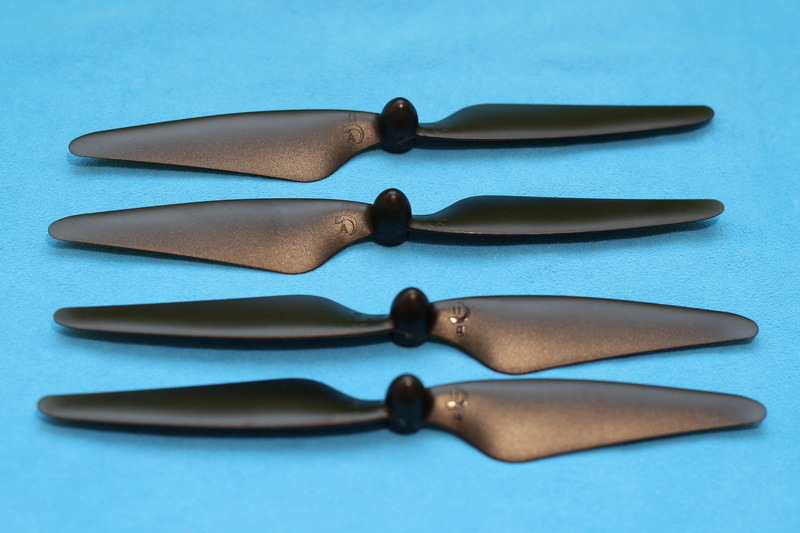 Propellers are self-feathering, so no worry about losing the prop nuts on the field. 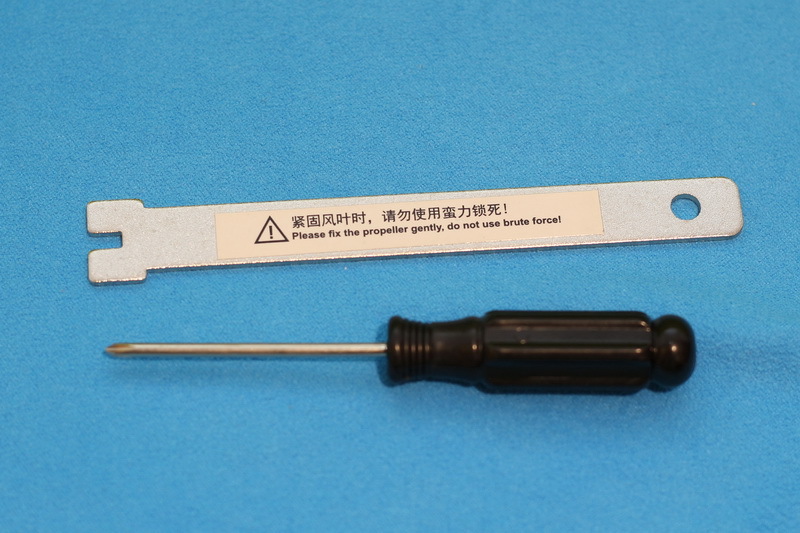 There is possibility to install blade protectors, but they are not included in the box. 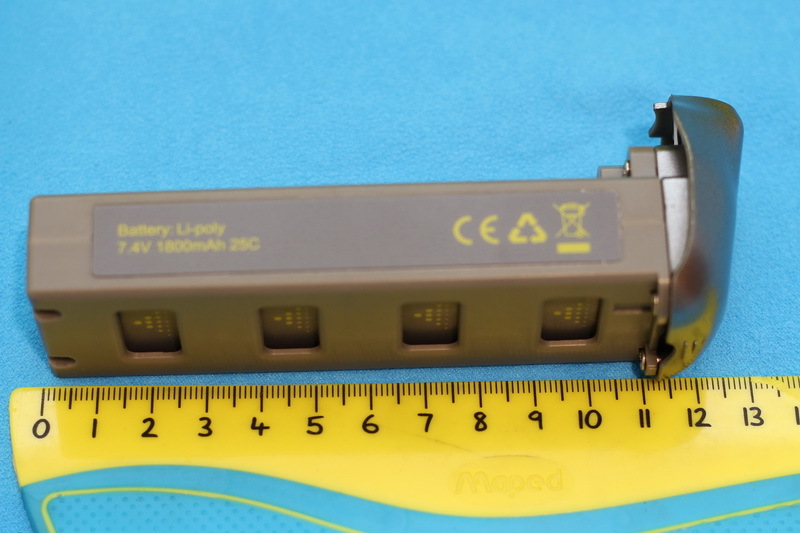 The 2S/1800mAh battery can be loaded from the tail. 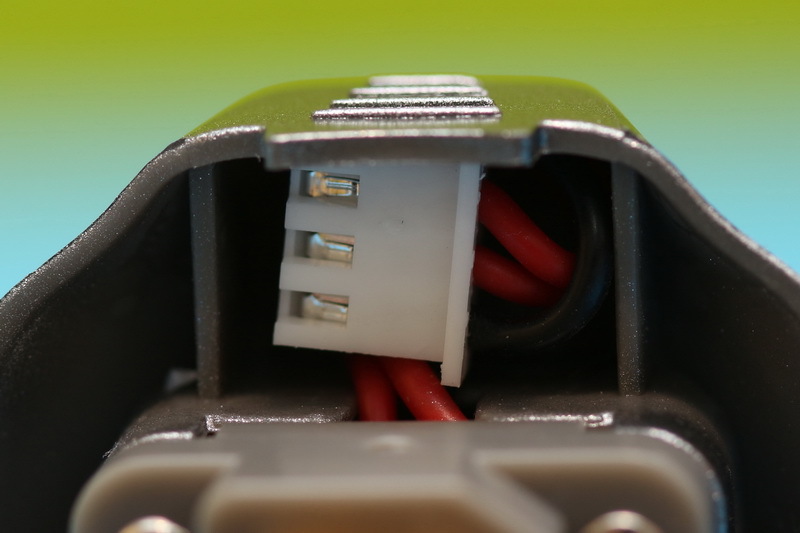 You have a tiny clamp which secures the battery bay door in order to prevent accidental ejection. 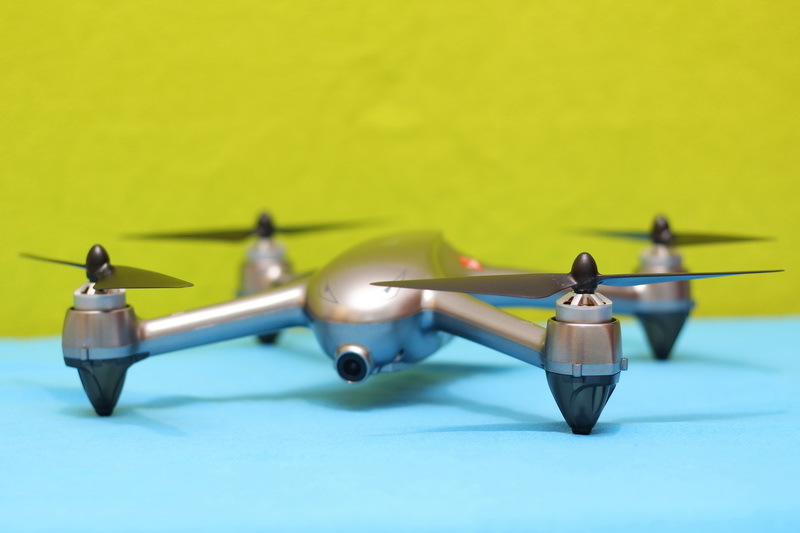 According to the manufacturer’s specs, with a fully charged LIPO you can have about 18 minutes flying time. Of course, this is probably the best case scenario. 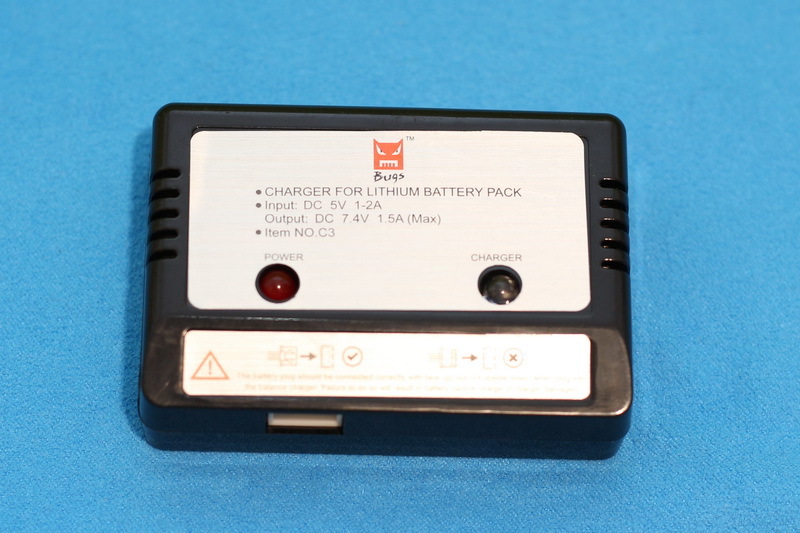 Thanks to the standard balance connector, the battery can be charged with third-party hobby chargers as well. 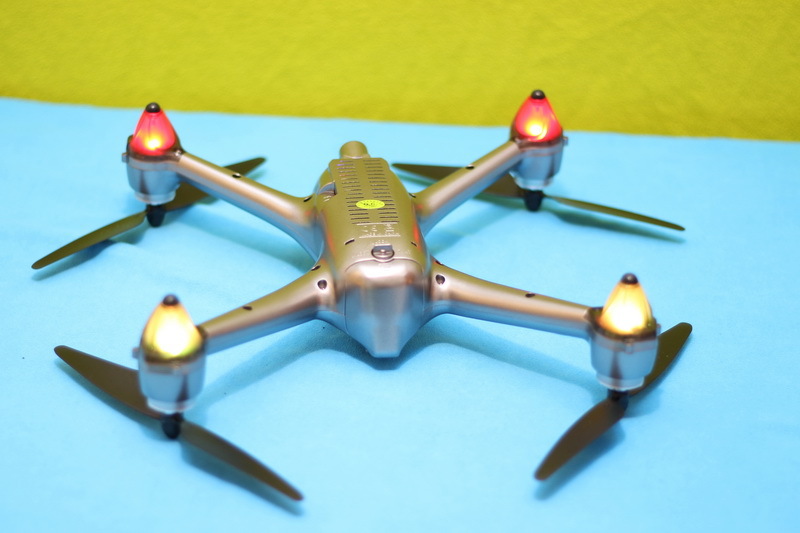 During night flights you will be guided by 4 RGB LED lights (one under each motor). 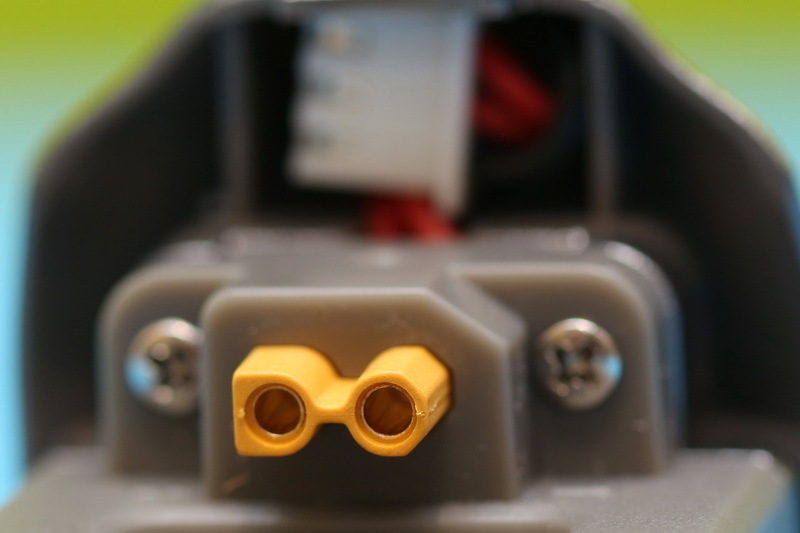 Frontal LEDs are red and the real ones yellow during normal operation. 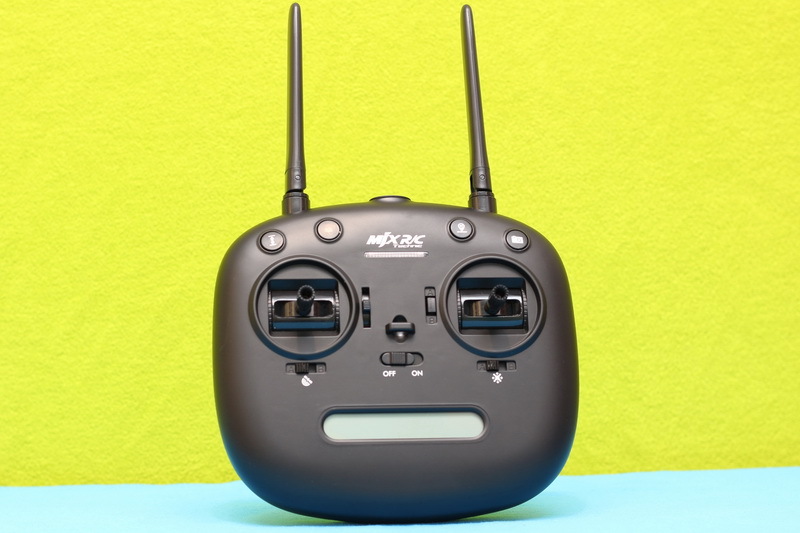 Like most of MJX R/C drones, the Bugs 2SE also comes with the GR6221A remote controller. 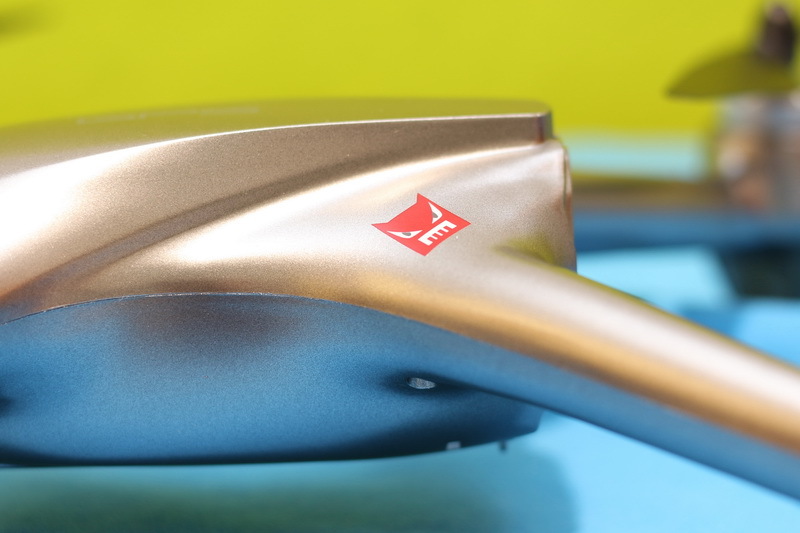 Besides that it looks solid, it has excellent control range. 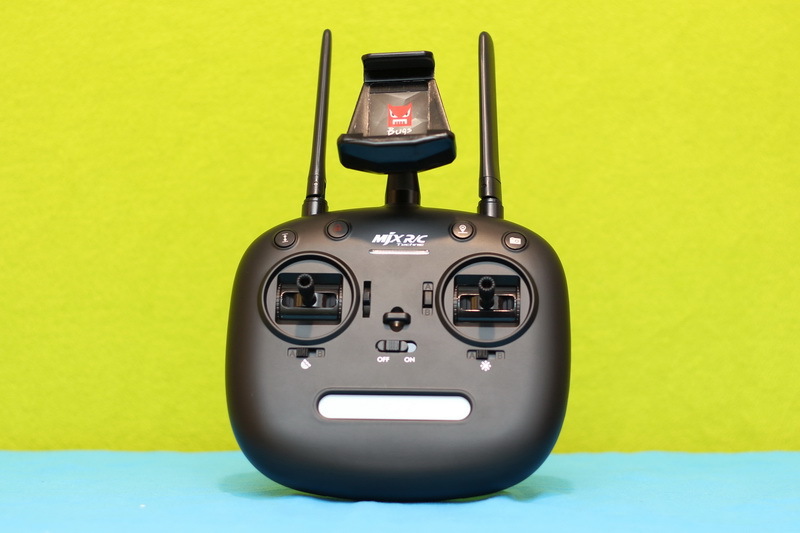 Signal strength, GPS mode, number of satellites, flight altitude, distance from RC, Headless Mode, RTH, photo/video, RC Mode, TX & RX battery level are permanently shown on the status LCD. 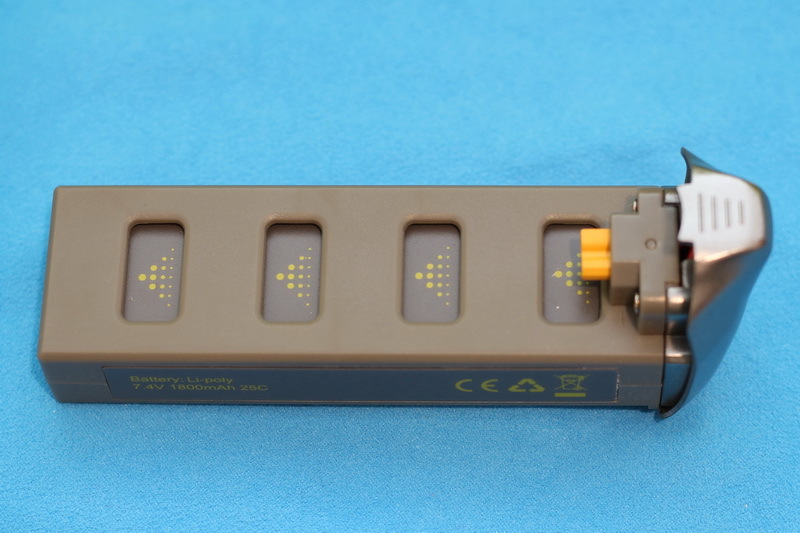 The antennas seems to be fake, so you can keep them in any position you want. They are not influencing the range. 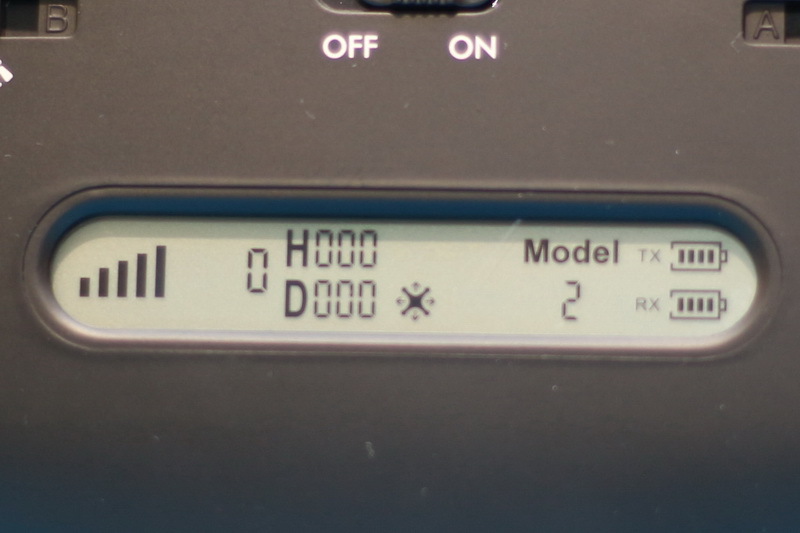 By default the transmitter is set to Mode 2 (left throttle stick), but it can be used in Mode 1 as well. 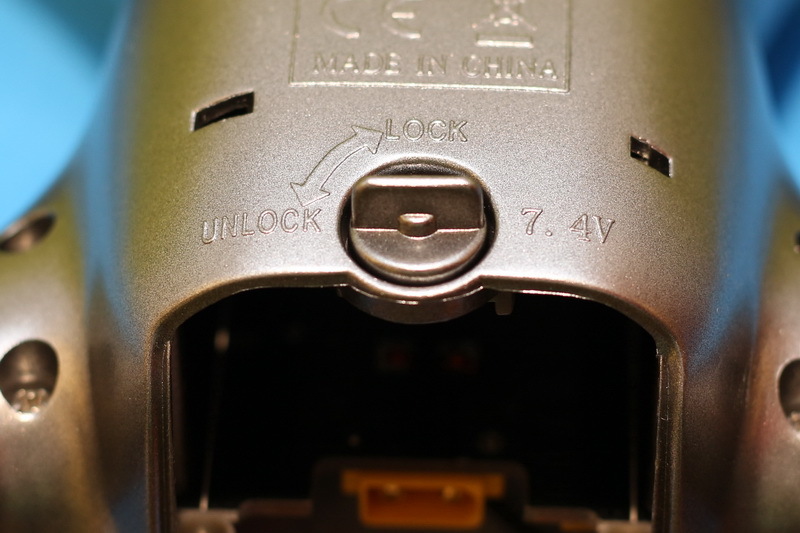 On front panel, besides the two control sticks, there are 4 switches and 4 control buttons (One key Takeoff/Landing, Motor Lock/Unlock, RTH and Photo/Video). 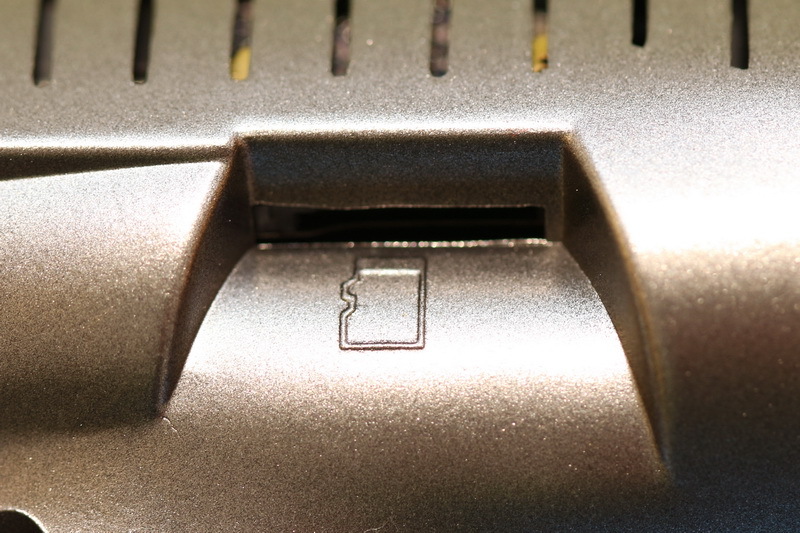 While the left trimming switch allows to toggle GPS and Gesture (nonGPS) modes, the right one enables Headless flight mode. 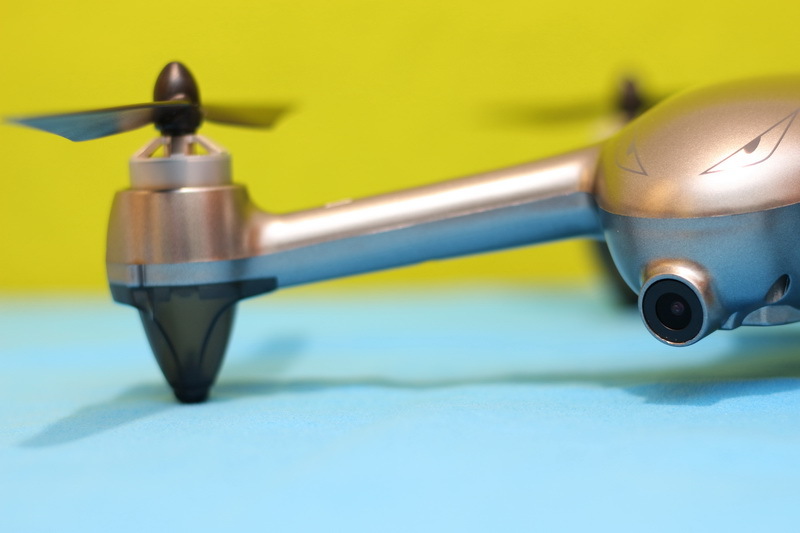 A friendly advice, you should never long press the “Motor lock” button while the drone is in the air. 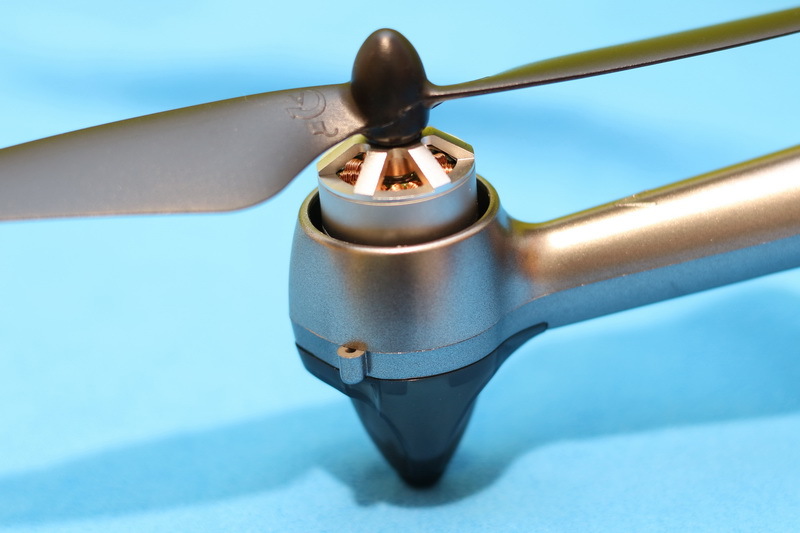 It stops the motors instantly and the quad will fall like a stone. 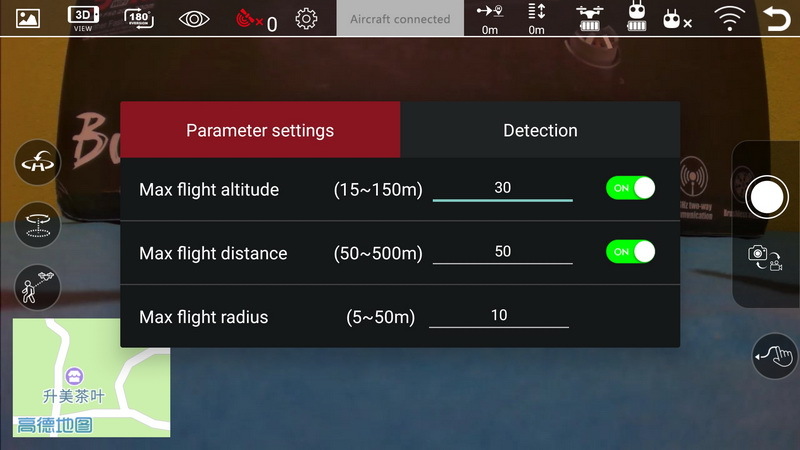 The Bugs GO APP is mandatory for FPV flights as wells as for intelligent flight modes. While the APP can be installed on any Android or iOS mobile device, will work only with ones that have 5G WiFi. The APP can be simply downloaded by scanning the QR code from the user manual. 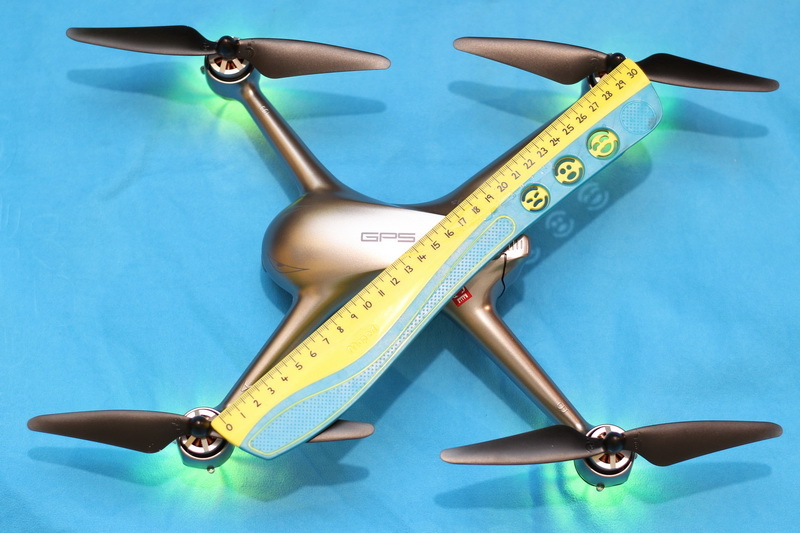 On the top ribbon are shown many telemetry values, including flight altitude and distance from pilot. Through the APP you can enable Follow Me mode, Circle hovering and TapToFly. 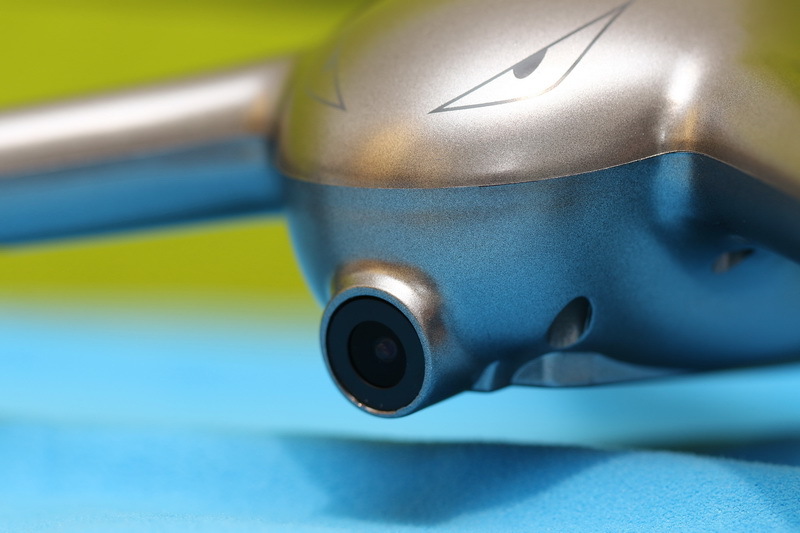 The built-in 1080P camera is located in front of the fuselage and comes with a wide angle lens (160 degree). 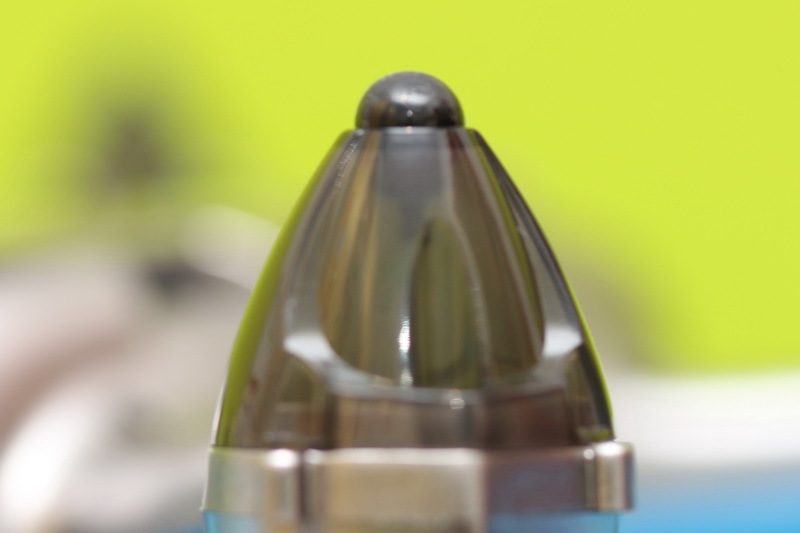 Does not have a mechanical nor electronic image stabilization, so you should not expect cinematic stuff. Anyway, for its price, in good daylight conditions takes pretty nice aerial videos. 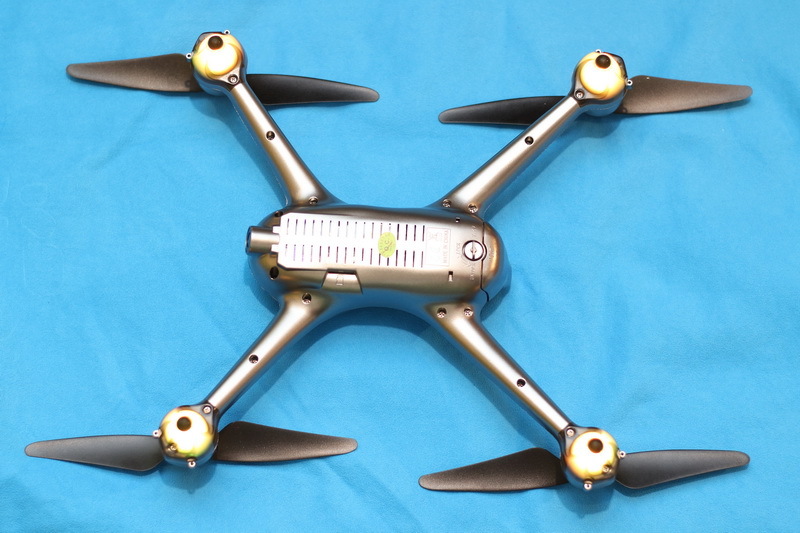 Featuring integrated DVR, you have option to record on drone’s micro SD card, as well as on your phone memory. 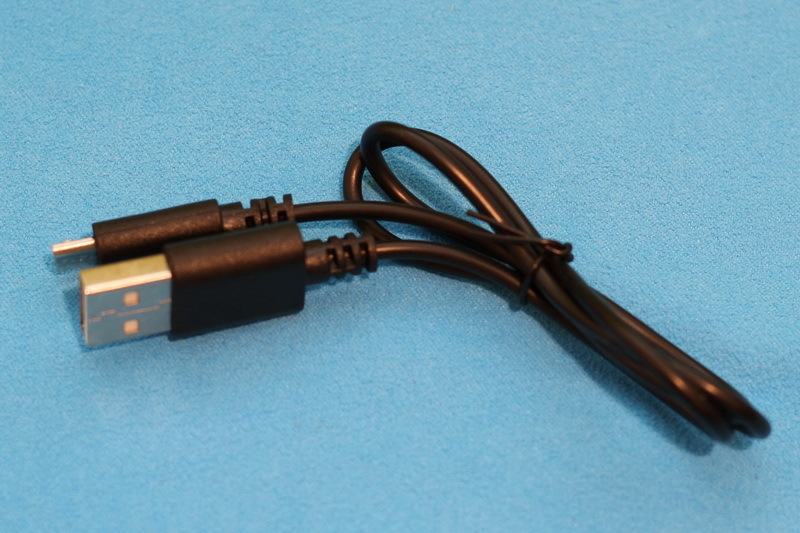 It allows to capture photos and videos with resolution of 1920 x 120 pixels. Five minutes of video occupies about 580 MB. 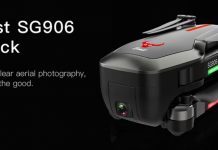 The camera features 5G WiFi real-time video transmission. 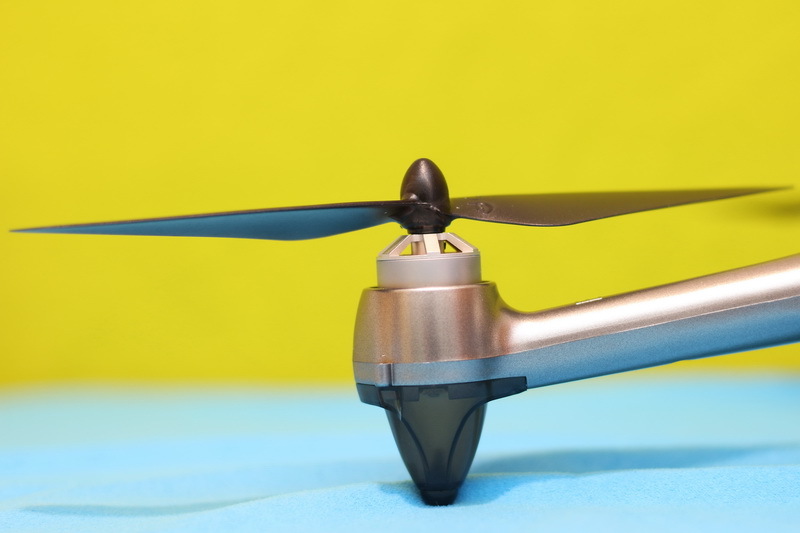 Sure, it’s not 5.8G analog FPV, so you cannot expect a lag-free reception. 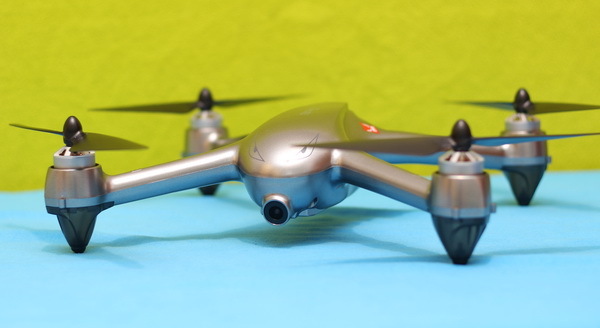 Anyway, newbies will love to see the world from the drone’s perspective. Getting in the air right out of the box is not a good idea, even for experienced pilots. 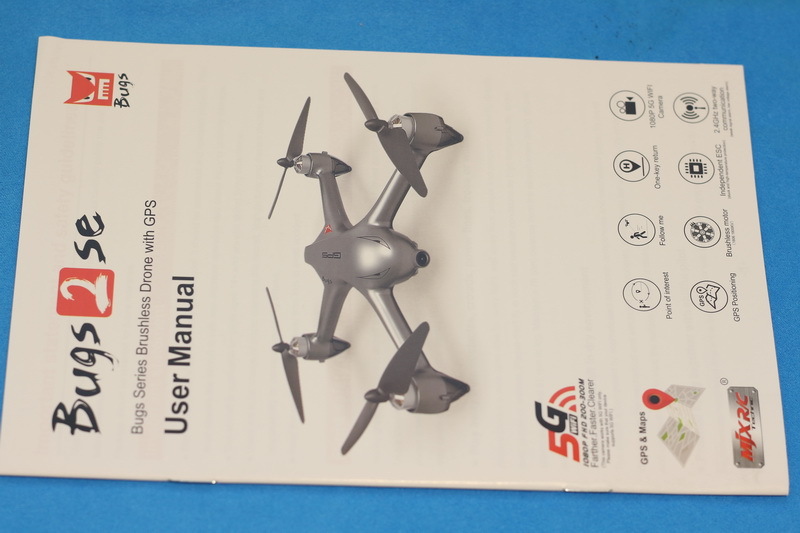 I suggest to read the product’s user manual first and also to perform all the initial setup steps required for a safe and pleasant flying. 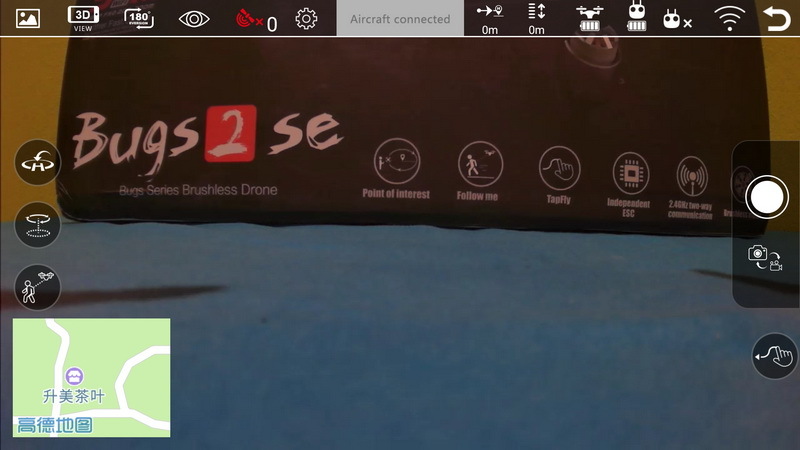 Since my first flyaway experience, before mounting the props and do the maiden flight, I test what happens if I turn off the RC while the motors are spinning. Normally, they should stop in few seconds. 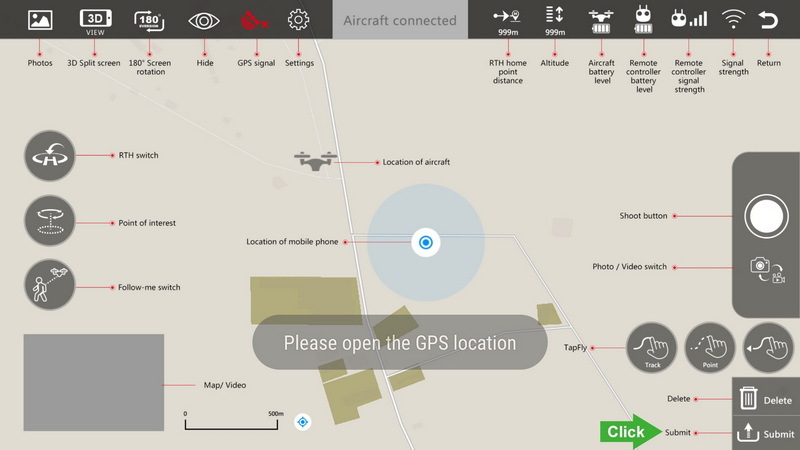 Furthermore, in case of GPS drones, if they are in the air when the RC is powered off, they should return to the take-off point. 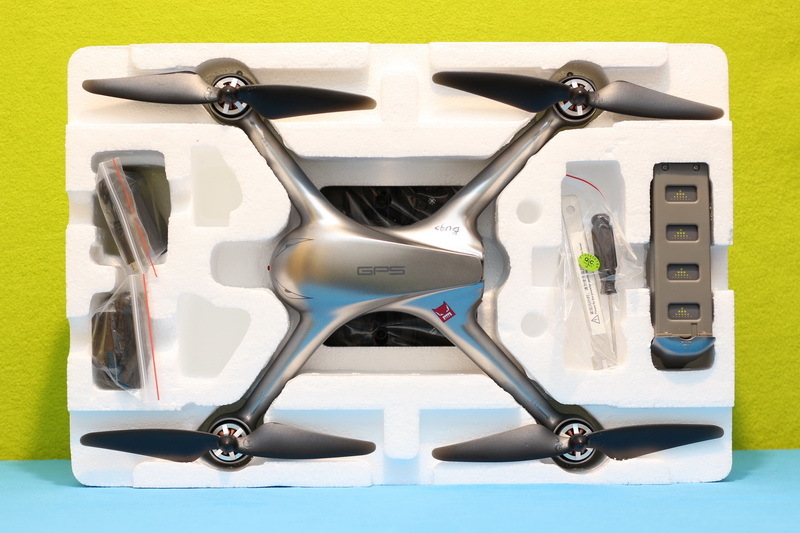 Firstly, you need to bind the transmitter with the drone. This can be done by turning on the RC while you hold the “Lock” button. After beeping 2 times you can plug-in the B2SE’s battery. 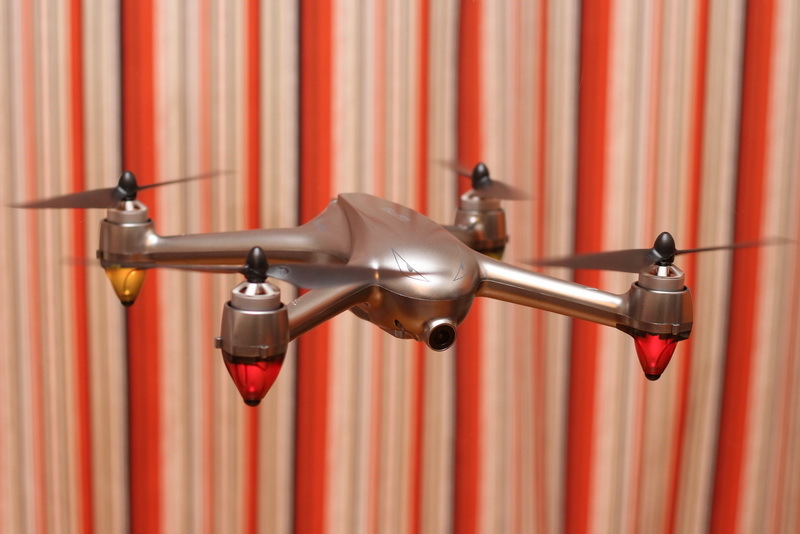 rotate the aircraft vertically (with the nose facing the ground) till the LEDs stop flashing. 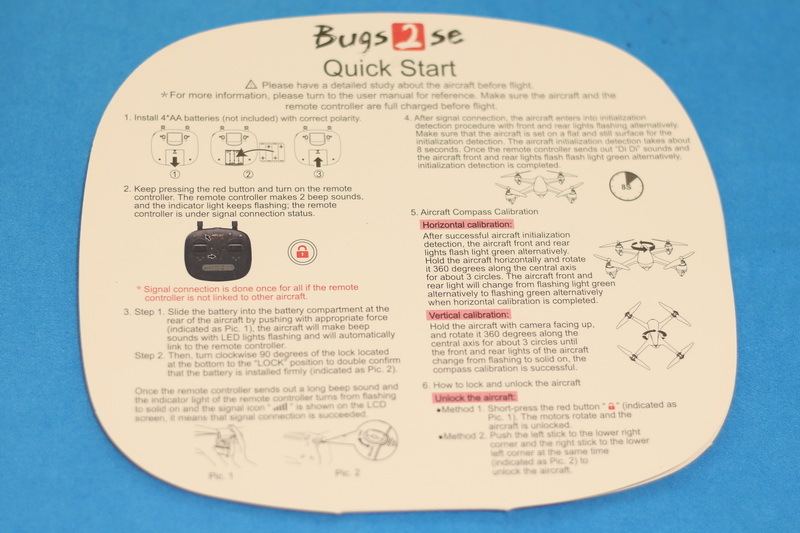 If everything has been set-up correctly, the Bugs 2 SE should take-off gently. Thanks to the GPS system, the B2SE holds its position perfectly even in windy conditions. Return to home feature is very accurate. After I pressed the “RTH” button, the aircraft goes to a certain altitude in order to avoid buildings or trees, than changes its flight path to reach the take-off point. It autonomously landed about 40cm near the landing pad. I also tested the “Follow me” feature, which works nicely. 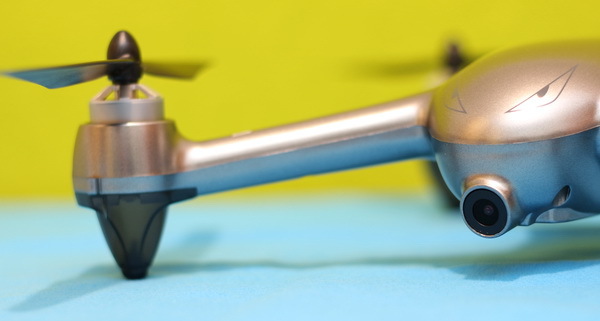 The drone follows you without touching any stick on the RC. 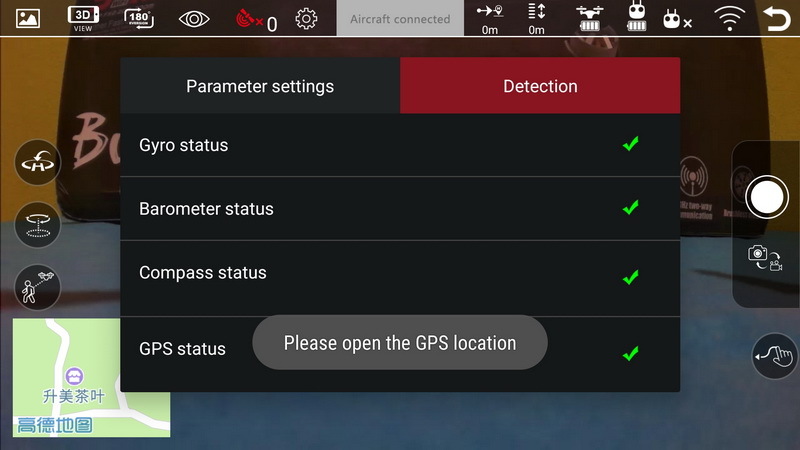 Note: this mode requires to enable the GPS on your phone. I got an average of 12 minutes flight time, which is close to the advertised one. 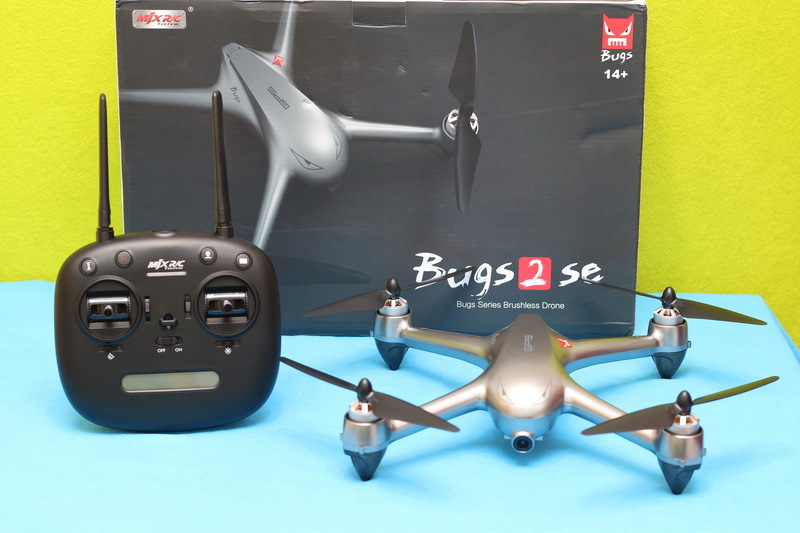 At the time I published my review, the B2SE quad was listed for $167 here with two batteries. but unfortunately it cannot be ordered yet (status is “coming soon“). You can select “In stock Alert” and they will send you an email as soon as becomes available for order. 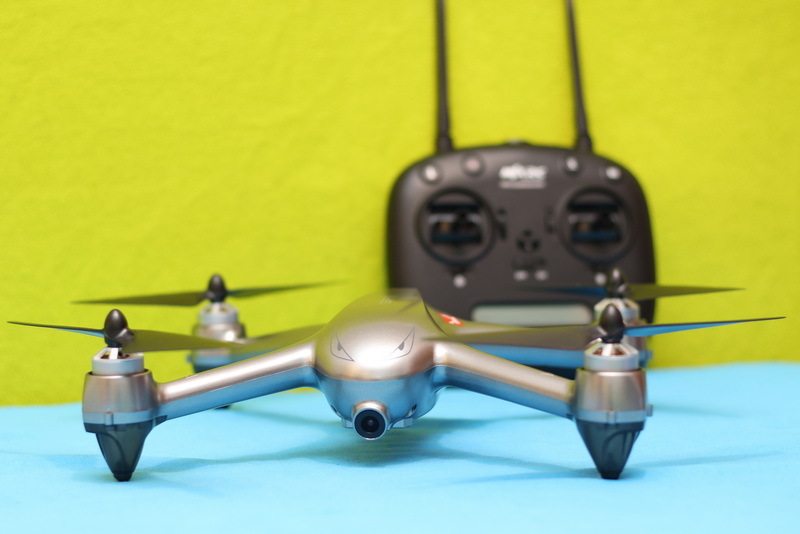 Now it is available for orders, and have option for 1, 2 or 3 flight batteries. 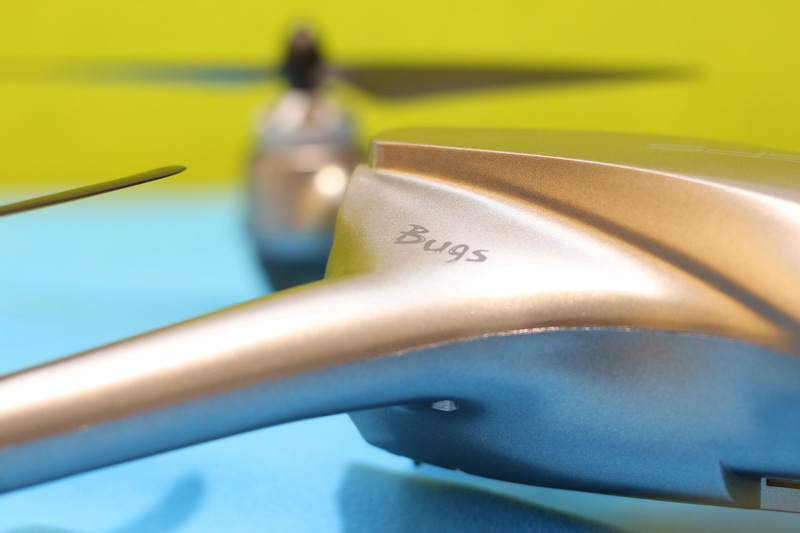 The Bugs 2 SE comes fully assembled and ready to fly out of the box (only calibration required). 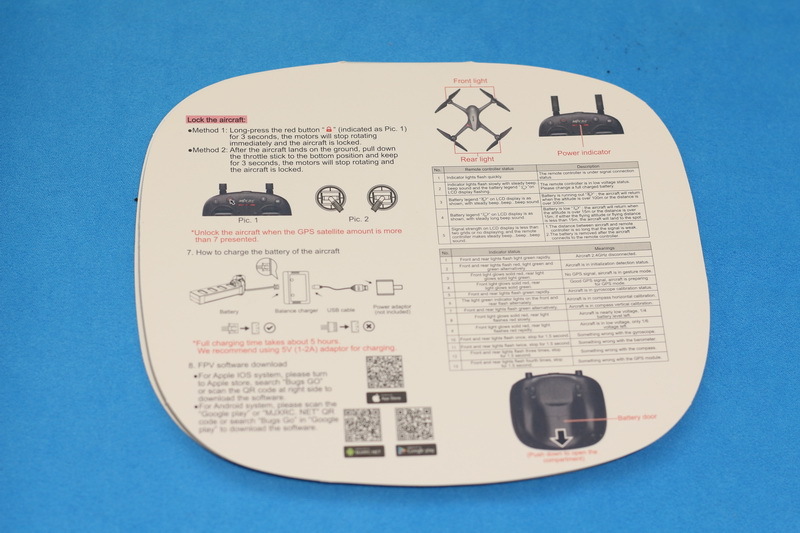 Featuring GPS positioning system and altitude-hold, it is very stable in both indoor and outdoor environment. 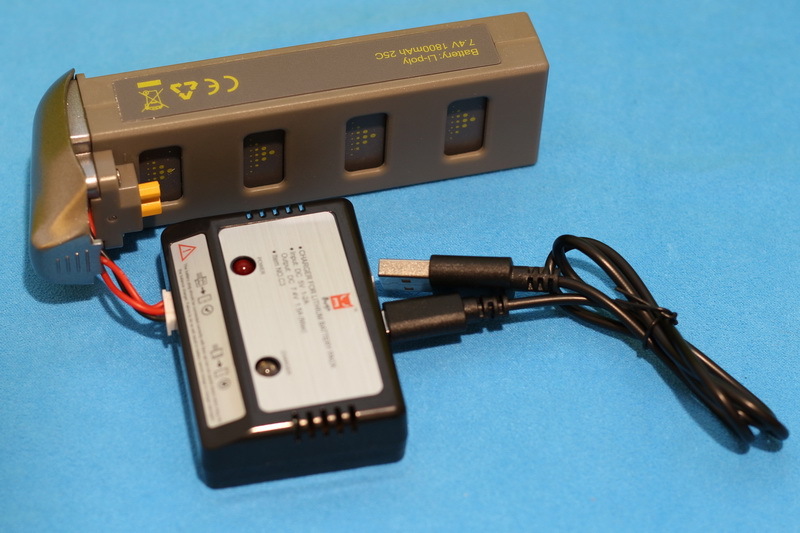 Its transmitter feels nice in your hand and it offers excellent control range. 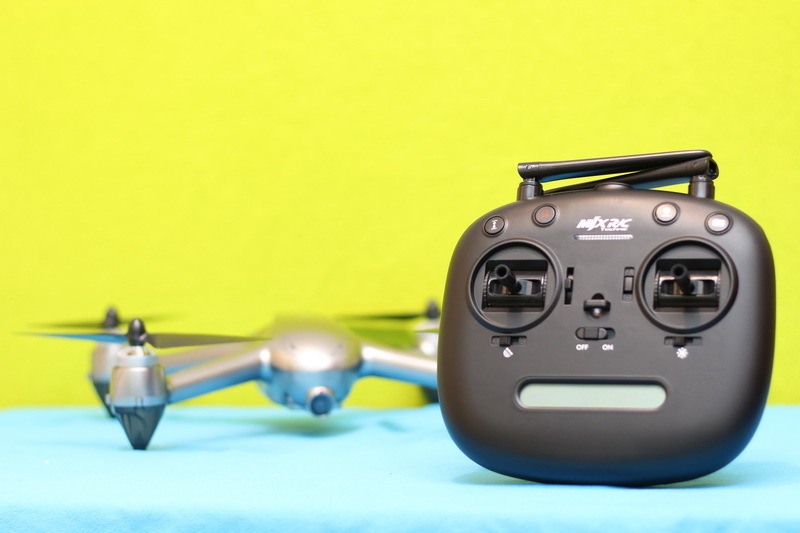 The on-board 1080P camera does a decent job, but without a mechanical gimbal the videos are far away to be cinematic. 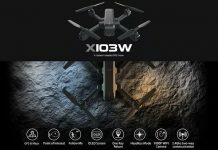 I would suggest this drone for those who are looking for great flying quad without too much expectation regarding the video performance. Good wind stability (with GPS enabled). Needs to calibrate every time. 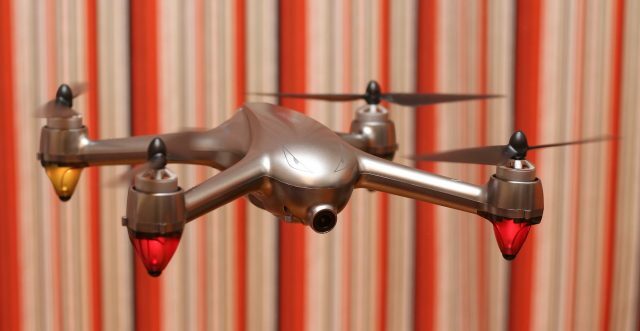 Currently, in its price range there are many cool drones. 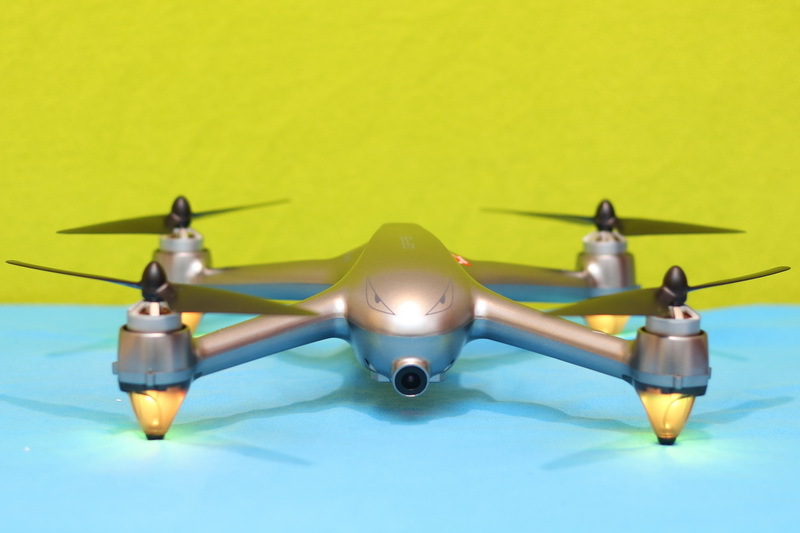 Just to name few of them: Bugs 3 Pro, JJRC X9 Heron, JJRC X7 and the bit more expensive FiMI A3. 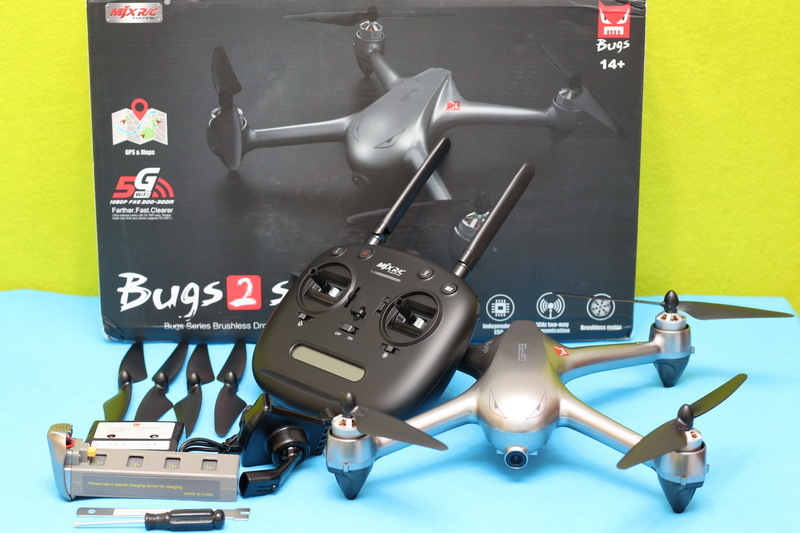 All of them are equipped with brushlss motors and are featuring GPS positioning system. 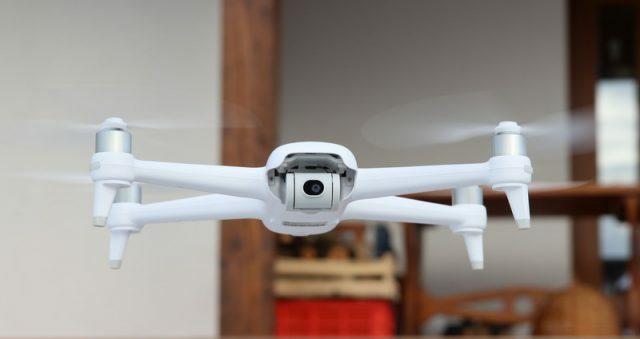 Surely, if you need better image quality, you should look for the B3Pro, which is capable to carry a GoPro or similar action camera. 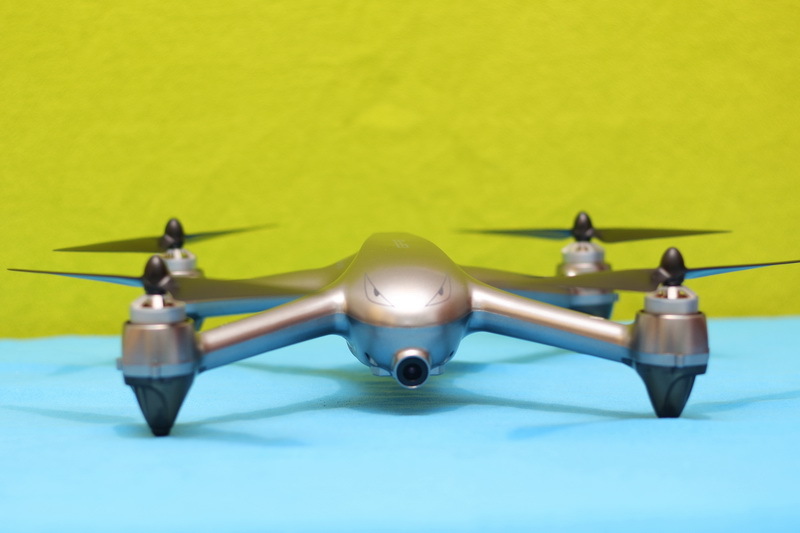 For a smaller budget, you can look for the VISUO XS812 quadcopter. It has full HD camera and GPS feature. 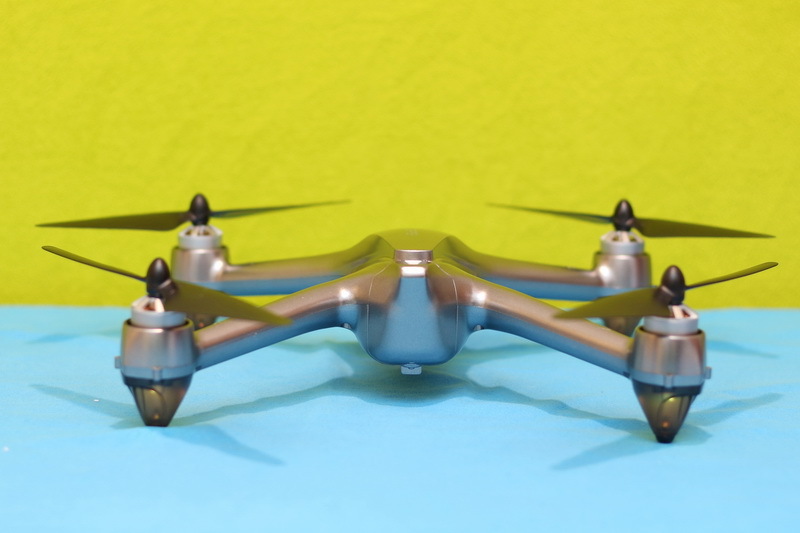 The only drawback of this model is that it has brushed motors instead of brushless ones. 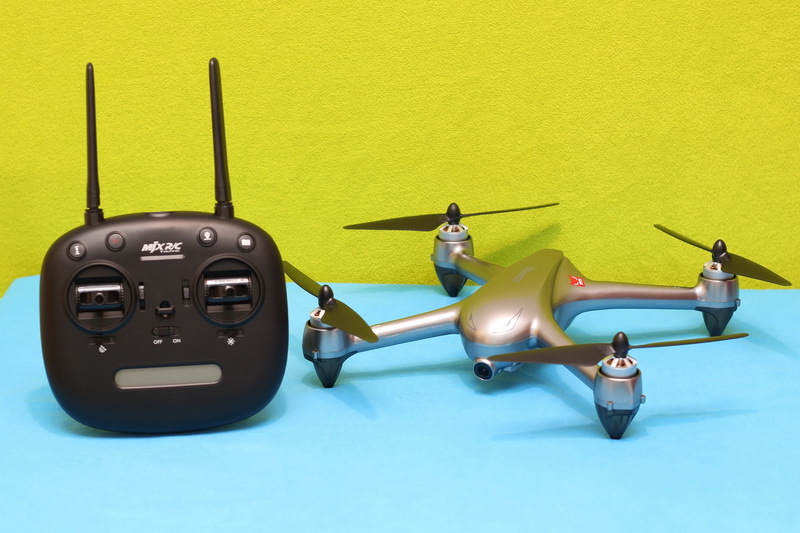 Also, here I should mention the JJRC X8 and Virhuck V6. But they are actually not an alternative, because they seems to be just a re-branded B2SE. Battery life of the b2se is not the best, but at least gps works precisely! 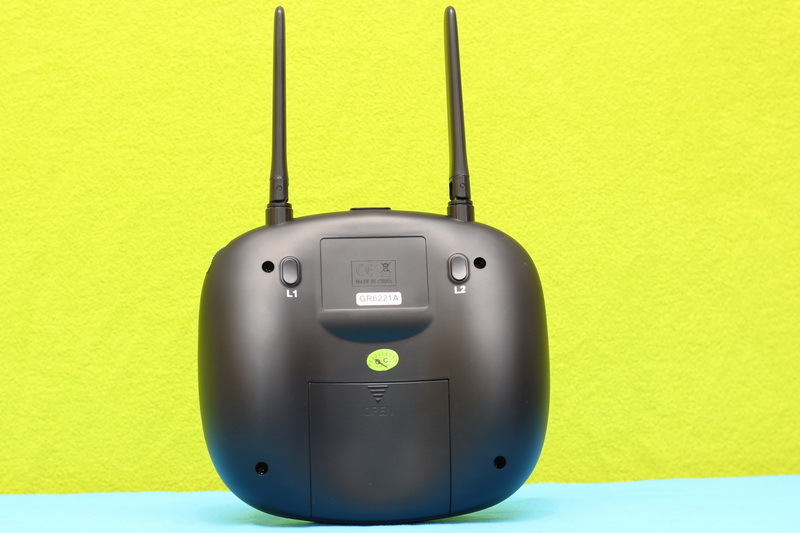 The Tello and the Bugs 2 are from completely different worlds. 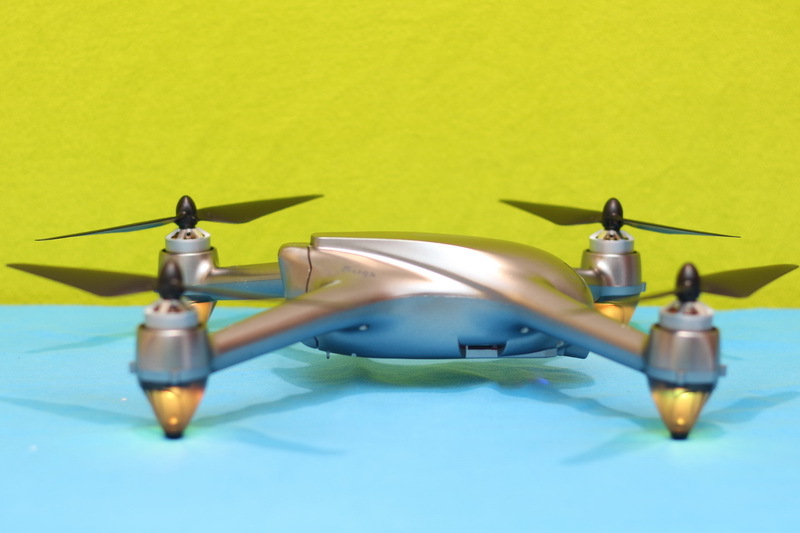 While Tello the has brushed motors and it is for proximity flying, the B2SE has powerful brushless motors and GPS. 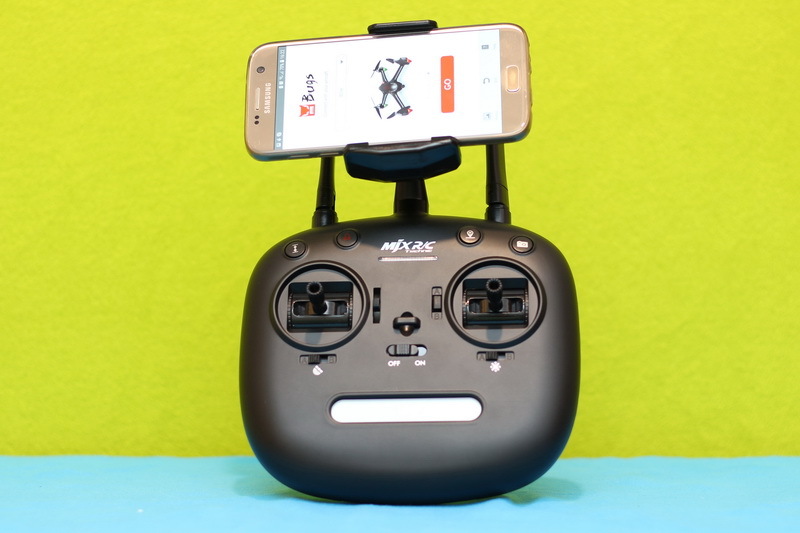 In terms of image quality i can’t make a comparison, because I do not own a tello…. You should check YouTube for some sample videos. 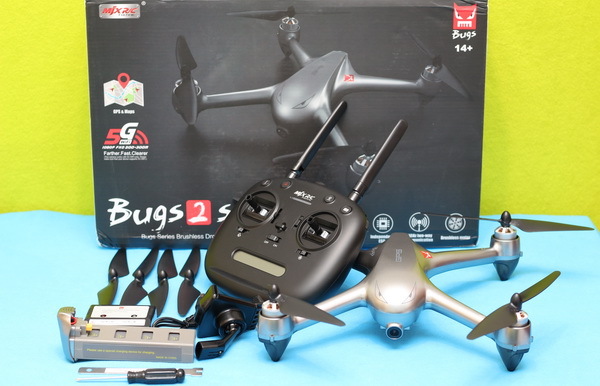 I read that you also reviewed the Bugs3Pro. 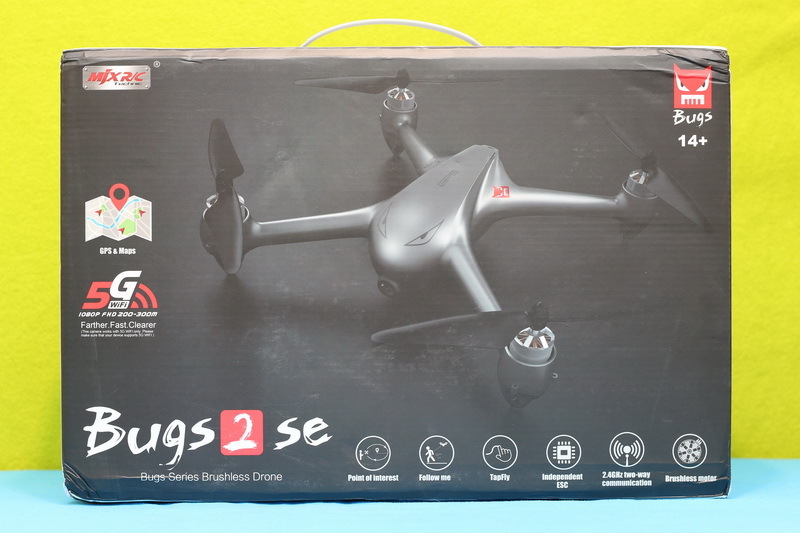 For a completely newbie, which model would you suggest, the Bugs 2 SE or the Bugs 3 Pro?